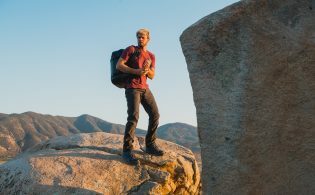 Eagle Creek introduces the new Fast Inflate Pillow with Windcatcher® Rapid Inflation technology. Fully inflatable in just two or three quick breaths and packs down to about the size of a Red Bull can, or flat as a pancake, with a small stuff sac to keep it nice and neat inside your in-flight bag or backpack. When inflated, they’re sized like your pillow at home, and built for comfort and ease of use, the Fast Inflate Pillows are ideal for any scenario where space and comfort are concerns. Lips-free inflation(! 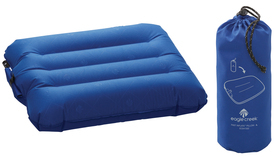 ), fast deflation and incremental adjustability for the ultimate in travel comfort and convenience.